Sleep Number Bed vs. iComfort Mattresses - Which is Better? Sleep Number and iComfort take dramatically different approaches to manufacturing comfortable mattresses. By most accounts, both companies make quality mattresses that can keep you comfortable and cool during the night. Since there are major differences between some of the companies' products, though, you should take some time to learn about your options. Sleep Number is best known for its signature Sleep Number mattress. The Sleep Number mattress stands out because it doesn't use coils, gels, or memory foam to offer a comfortable sleeping experience. Instead, it uses air. The Sleep Number mattress is really an air mattress with a digital controller. If you prefer a firmer bed, then you use the controller to select a higher number. If you want a softer mattress, you choose a lower number. The firmness controller goes from one to 100. If you need a want a Queen or larger, you can get a Sleep Number mattress that is divided into two sections. This lets partners choose how their own firmness levels. Instead of learning to live with someone else's preference, you and your partner can get a full night's sleep without any discomfort. Although most people recognize the Sleep Number mattress, the company makes a wider range to meet the needs of its customers. Some other mattresses made by Sleep Number include those in its Classic Series, Performance Series, Memory Foam Series, and Innovation Series. Most of these mattresses are identified by a combination of letters and numbers. For instance, the Innovation Series has mattresses called i8 and i10. They don't really have names that most people could easily recognize. These other mattresses can give you a different set of features to consider. If you don't like the idea of sleeping on an air mattress, Sleep Number gives you plenty of alternatives. The company is known for its air mattress, but it also has designs made from memory foam, coils, and other materials. Sleep Number came up with a great idea when it decided to make a mattress with adjustable firmness. Since you can change the firmness at any time, you do not have to worry about whether you're getting the right mattress for your sleeping preference. Sleep Number doesn't have the most affordable mattresses in the world. Not all of them are extremely expensive, but none of them are inexpensive. The cheapest mattresses are in the Classic Series. These are regular plush mattresses that measure eight to nine inches high. Queen sets in the Class Series start at about $1,100. If you are not concerned about how much money you spend, then you may want to consider buying the X12. Sleep Number says that this is probably the best bed in the world. Of course, the company is possibly a bit biased. Considering that the X12 costs about $8,000, though, its memory foam mattress with comfort layers had better give you an amazing night's sleep. iComfort is a brand of mattresses owned by Serta. Serta was founded in 1931, so it has plenty of experience making and selling a diverse range of mattresses. iComfort is Serta's brand of memory foam mattresses that were introduced in 2011. Today, Serta iComfort has several memory foam models with various features. Serta says that sleepers benefit from better sleep when they use iComfort mattresses. That better sleep comes from features that relieve pressure along the spine and joints. By relieving pressure in these areas, sleep isn't interrupted by muscle and joint pain during the night. iComfort mattresses are specifically designed to provide support where most people need it. The material used to make the mattresses include gel beads called Millions of MicroSupport. These beads collect under your body weight to give you more support where needed. The mattresses also have Cool Action Dual Effects material. This material is made with an open cell structure that makes it easy for heat to transfer away from your body at night. If you often wake up feeling hot, then you might need this kind of feature to keep you more comfortable while you sleep. Other benefits of sleeping on an iComfort mattress may include reduced snoring and improved circulation. While iComfort mattresses are not as expensive as Sleep Number's top designs, they aren't anything close to cheap. An iComfort Insight EverFeel is one of the least expensive options. A Queen set costs about $1,300. The most expensive iComfort mattress, the iComfort Directions Epic, costs about $3,000. While this is fairly expensive, it still costs considerably less than the most expensive mattress sold by Sleep Number. iComfort has about a dozen other models that fall between $1,300 and $3,000. Most of the models cost about $1,500 to $1,700. Serta sells its iComfort mattresses online and at local retail stores. The Serta website makes it easy for you to compare iComfort and other mattresses sold by the company. Before buying, you can see how firm or soft the mattresses are. You can also view mattress details to help you decide which one has the features you need most. Of course, it's nearly impossible to test a mattress online. For this reason, you might want to use the website to find a retailer near you that has iComfort mattresses. That way, you can actually lie down on the mattress to decide which one is right for you. Buying from a retail store is slightly less convenient than buying online, but the option to test mattresses before buying is a notable benefit. Sleep Number is a great option for people who want to adjust the firmness of their mattresses. Some of the designs, however, cost a lot of money. If you have the funds, then you may want to purchase a Sleep Number mattress set. 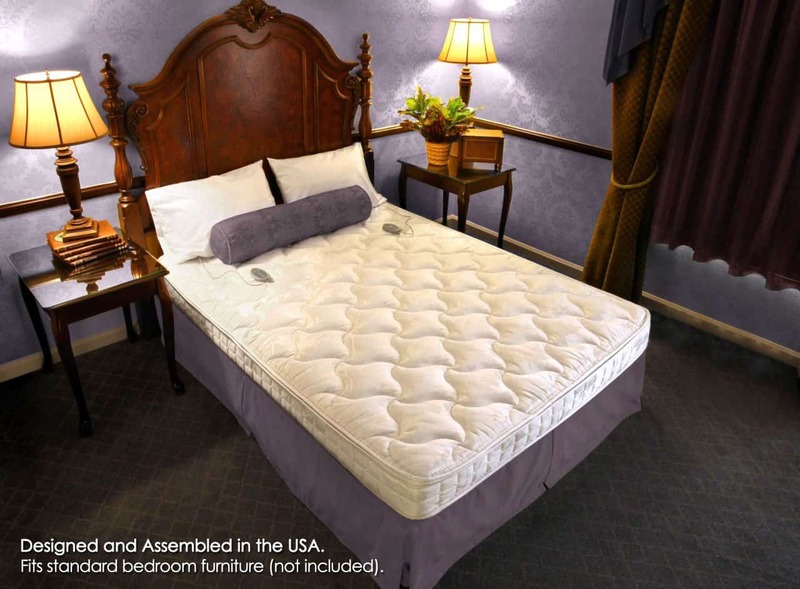 If you don't mind choosing a firmness, though, you can save money by purchasing a mattress from Serta's iComfort line.